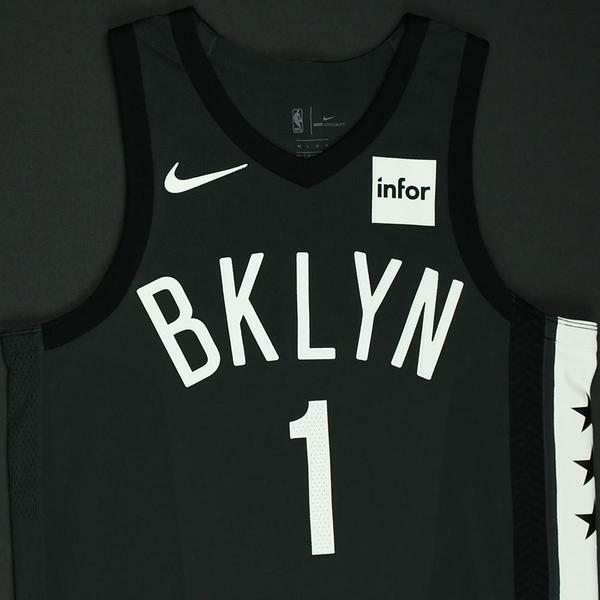 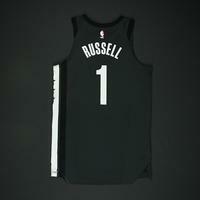 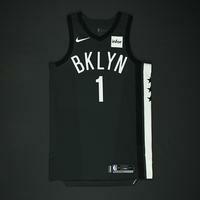 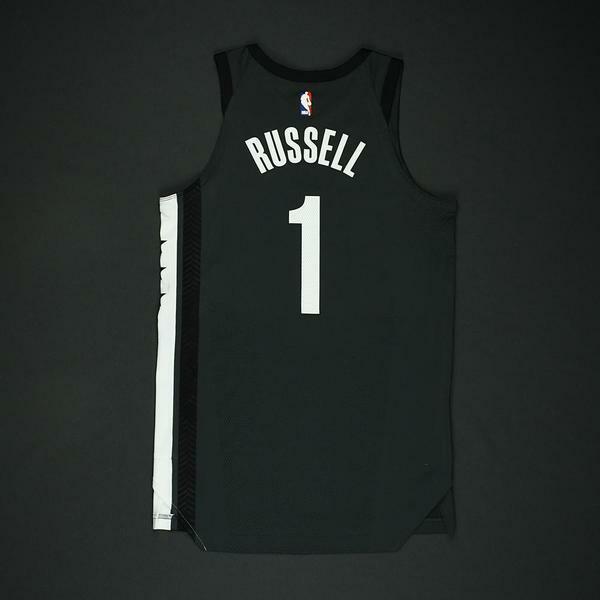 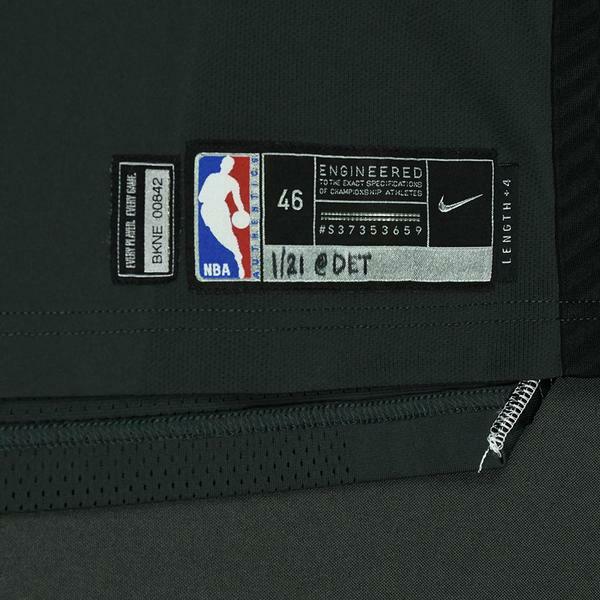 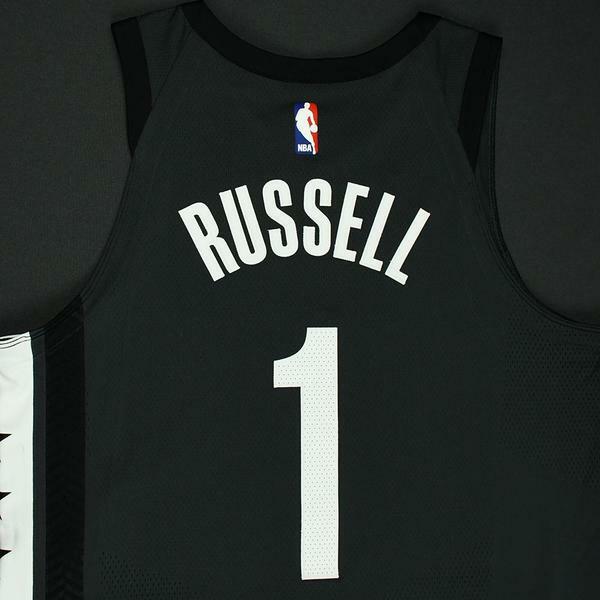 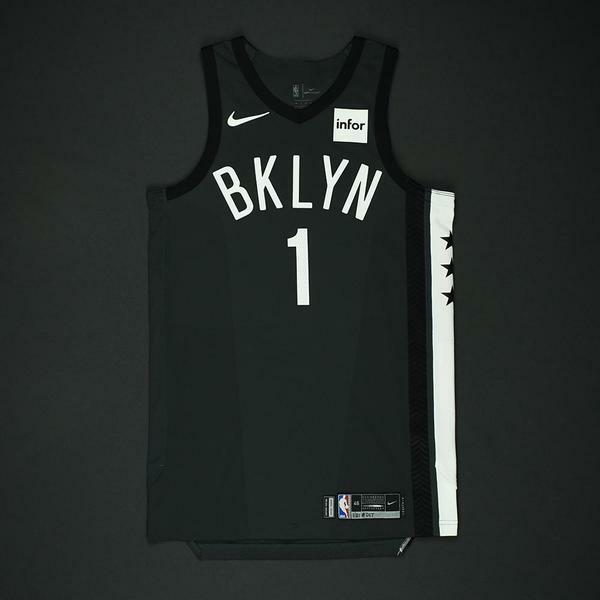 Russell wore this jersey during the Nets' 101-100 victory over the Detroit Pistons on January 21, 2018 at Little Caesars Arena in Detroit, MI. 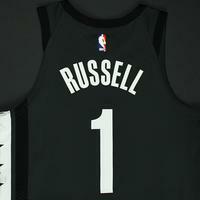 He played 14 minutes and registered 3 points with 1 assist. "1/21 @ DET" has been handwritten on the jocktag.